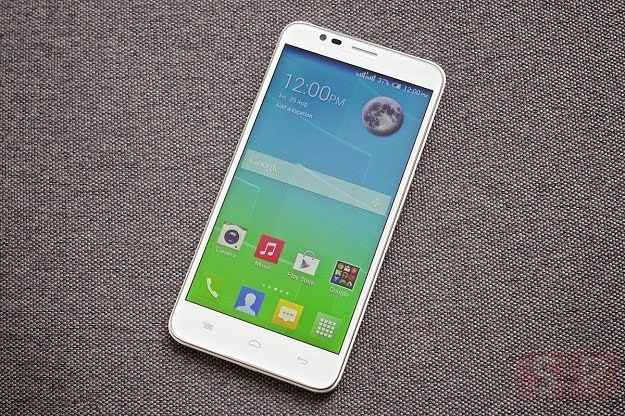 ALCATEL ONETOUCH has unveiled the FLASH, which they claim is one of the world’s best selfie smartphones. 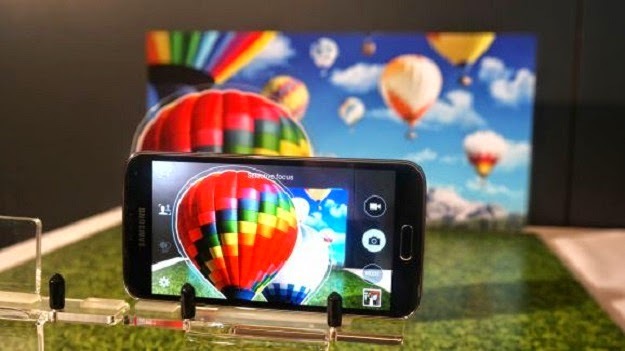 It comes with a front 5 Mpxl HD and a 13 Mpxl Full HD rear camera. The FLASH front facing camera comes with Smart Beauty Enhancement feature that automatically enhance pictures, removing the need of any extra photo editing apps. KL Kong, Country Manager from Alcatel Distributor TCT Mobile Malaysia said, “The features in FLASH makes it a powerful smartphone for selfie lovers. And to top it all, this model is selling at a very affordable price. We are confident the design, superior features and value will make FLASH the most preferred smartphone in its category”. In addition to its selfie features, the ALCATEL ONETOUCH FLASH has a lightweight 150g body with 5.5” HD screen and a True Octacore 1.4 GHz processor. The 3200mAh battery keeps the smartphone going longer. FLASH also has Hotknot pre-installed, a technology that allows rapid transfer of all multimedia information. 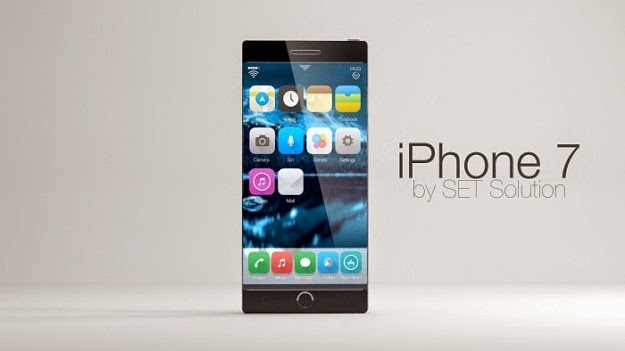 Users can transfer their favorite photos or videos by just one touch. ONETOUCH FLASH is available for sale at a RRP of MYR 699 bundled with flip cover and value added Screen Warranty Care + (SWC+) which covered the device with a free one-time screen replacement within the first 12 months of ownership. 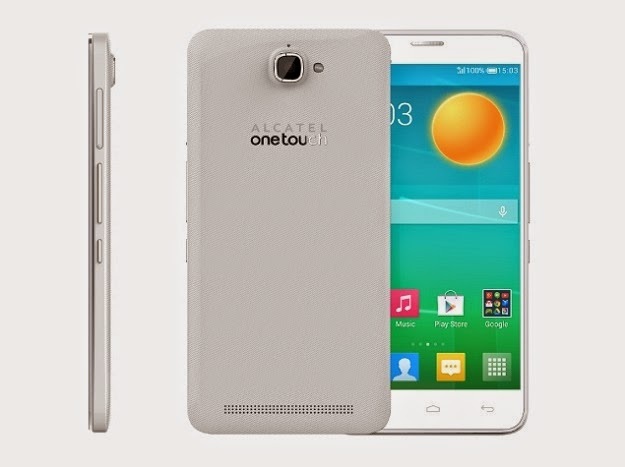 The first 1,000 sets of ONETOUCH FLASH are also bundled with free selfie sticks. I’ve been playing around with the Lumia 830 for a while now, so here is my breezy review of the final smartphone to bear the legendary Nokia name. A brief background of the smartphone; Before the Lumia Icon/930 was released, this 830 was Microsoft’s ‘affordable flagship’ for the Lumia range. Even though the 830 has since lost its prestigious status, it is still worth checking out. Now let’s jump into the device. Glancing back at the term ‘affordable flagship’, one surely wonders why the unusual pairing of words since flagships are usually beyond what a consumer would deem affordable. Well the Nokia Lumia 830 comes with the PureView stamp on its 10 megapixel camera, wrapped in its solid and classy casing, all with the price tag of just RM1,399; Definitely an enticing package indeed. Alright so when I mentioned solid and classy casing, I have to admit that I was looking at the screen and the top half of the device. I did a double-take the moment I flipped it over because instead of the silver or black I was expecting, I got orange. The 830 is carrying on the Lumia’s range of bright and fun colours but as much as I loved the previous iterations, this one does not go well. The orange clashed rather horribly and looking at pictures of the green back cover also made me cringe. I suppose colours are very personal, but I would definitely go for the white/black back covers which just ooze elegance. I then reminded myself not to judge a product based on its looks, and closed my eyes and held it in my eyes, turning it over and over. After using it for a while, I’m confident everyone will find the smartphone to be top in ergonomics. It feels good in the hand and every button is placed just right. The only slightly out-of-place port was the USB port which is along the top of the Lumia 830. You’ll find a 5 inch screen with 1280x720 resolution and a pixel density of 226ppi on this Lumia. Being used to numbers in the higher region for flagships, I had my doubts, but the IPS-LCD panel carries out its duties wonderfully and the lack of Full HD was not felt throughout. Having said that though, users might wish for a Full HD display considering the fact that they have a 10 megapixel PureView camera for use. Preloaded with Microsoft Windows Phone 8.1 Denim, the phone is supposed to have a range of updates like Nokia Camera experiencing a name change to Lumia Camera, and instant video recording when long-pressing the camera button. I say ‘supposed’ because although the phone claims to be running on 8.1, none of those changes were found. But as always, Windows Phone feels pretty great. It now features a notification bar (nicknamed Action Centre) which allows the input of background images to your Live Tiles, as well as resizing. I have always been a fan of the light and nippy OS. This time around though, I experienced significant lag in certain places. Like booting up the camera can take up to 2 seconds. Huge disappointment for me as the camera is the main selling point after all. This brings me to the Snapdragon 400 processor running with 4 cores clocked at 1.2GHz. Microsoft opted for an older processor so the ‘affordable flapship’ suffers a little bit in terms of processing power. As I said, the camera takes a while to load, but the rest of the apps ran without a hitch. The huge sensor found here finds itself packaged with Optical Image Stabilisation and Carl Zeiss optics. To top it off, Nokia threw in a dedicated camera button, complete with the capability to focus when half-pressed. That really deserves a huge clap on the back. The Lumia 830 has Smart Sequence, so you can take a series of photos and then later on edit them by removing unnecessary objects, or even going through and changing faces in a group shot to make sure everyone is in their best form. For the Selfie-crazed people, you might want to give this device a miss as the front camera is only equipped with a 0.9 megapixel sensor. 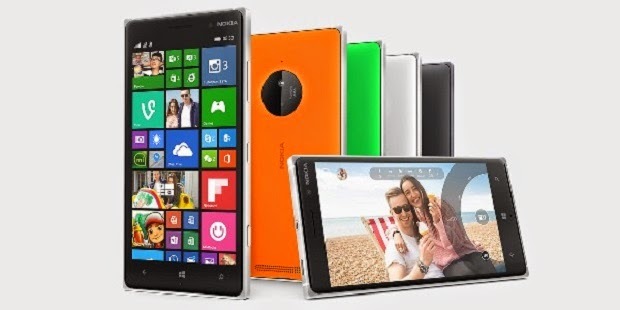 The Lumia 735 would be better suited for that task as its marketing point is the 5 megapixel front camera. On the subject of video recording, the Lumia 830 is better than the majority of smartphones thanks to its 3 mic Rich Recording. The Nokia Lumia 830 has 16GB of internal memory, a microSD card slot which can support 128GB cards and also 15GB of free cloud storage. The 2200mAh battery might seem small on paper, but performs admirably in reality, with credit going to a light OS. It also has wireless charging but you need to buy the additional accessory, slightly defeating the purpose of an affordable mid-range device. After taking everything into account, I have to say the Nokia Lumia 830 is a decent final phone from Nokia. Not the big bang many expected, but certainly above average. You’ve got a superb camera for RM1,399, maybe even lower by now, so it is hard to see you really going wrong with this purchase if you have been a long-time Nokia fan. TAK lama dahulu tersebar khabar bahawa Samsung Galaxy S6 yang akan datang bakal dilengkapi dengan RAM berkapasiti 4GB, namun ketika itu tiada bukti kukuh menyokong dakwaan itu. Kini, pihak Samsung sendiri secara tidak langsung telah mengesahkan perkara tersebut dengan mengumumkan pelancaran modul 4GB LPDDR4 mobile DRAM bagi peranti mudah alih seperti telefon pintar dan tablet. Modul LPDDR4 Samsung ini dilihat mampu mencatat prestasi dua kali ganda lebih pantas berbanding RAM DDR3 yang digunakan pada komputer masa kini. Ia juga menyokong rakaman bagi memainkan semula video UHD di samping menyokong pengambilan gambar 20MP+ secara berterusan, menjadikan ia satu aset penting bagi pemilik telefon pintar kamera. Sungguhpun prestasinya hebat, ia hanya menggunakan voltan sebanyak 1.1V, menjadikannya pilihan paling berkuasa rendah bagi telefon pintar dan tablet. Ini bukan sahaja meningkatkan prestasi, malah mengurangkan penggunaan tenaga. 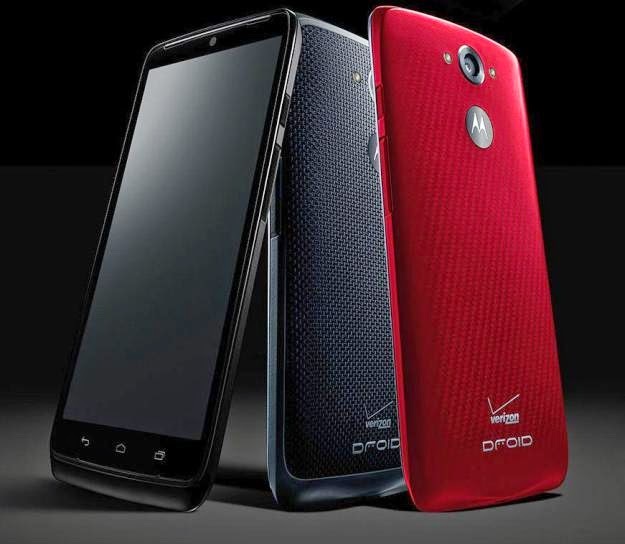 Dengan ini, kita boleh mengharapkan Samsung Galaxy S6, Note 5 dan lain-lain telefon pintar berspesifikasi tinggi yang akan dikeluarkan akan memiliki modul 4GB LPDDR4 ini..
Motorola has released a brand new Moto smartphone, this time a bigger one called Droid Turbo. With the Turbo monicker, you wouldn't guess wrongly that this device will possess turbo or at least more powerful specs than its brethens, like a 5.2-inch 1,440 x 2,560 Quad HD display, a Qualcomm Snapdragon 805 quad-core 2.7GHz processor, a 21MP camera for 4K video, a 2MP camera for 1080p video, 3GB RAM, 32GB or 64GB storage, 3,990mAh battery, and Android 4.4.4 KitKat. At the moment Motorola is only releasing this device on Verizon in the US, starting on 30 October at USD199.99 with a two-year contract or for USD25 per month Verizon’s Edge early upgrade program. 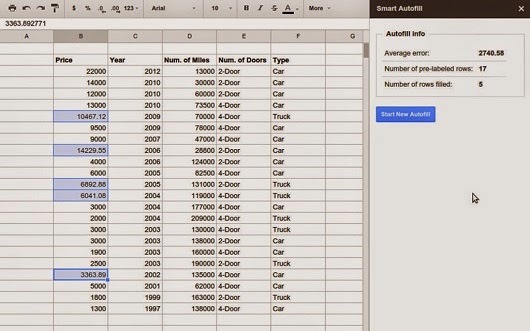 Google has launched a Smart Autofill add-on for its online spreadsheet. This new addon is able to look at existing values in an online spreadsheet and predict the data for missing values in a column. It uses a Google Prediction API algorithm that can learn about the information already in a spreadsheet, looking for patterns to build a model based on this information. That said, Google admits that such predictions might not always be as accurate as the user likes. If you have to work with spreadsheets online on a Chromes browser, you can go to the Chrome Webstore and install the Smart Autofill add-on. 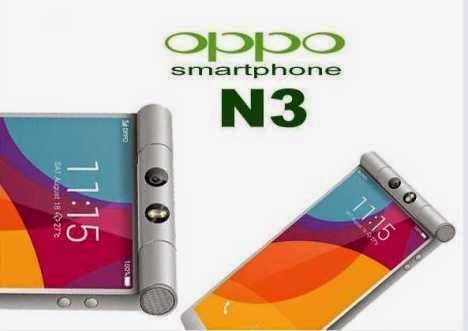 Oppo has also officially launched another smartphone the N3 which carries the distinction of a rotating camera. The phone lets you rotate the camera by either touching the screen, using the O-Click 2.0 Bluetooth Remote Control, or just swiping your finger over the fingerprint scanner at the faux leather back. Or if you like, you can also use your hands to do it. The camera in question is a 16MP ½.3” CMOS sensor with a F2.2 Schneider Optics lens and dual LED flash setup. Like the R5, it uses Pure Image 2.0+ technology to shoot 50MP photos in Ultra HD mode. And naturally it can shoot 4K videos at 30 fps. Besides the fingerprint scanner at the phone's back, for rotating the camera and for security as a biometric scanner, you will also find Skyline Notifications 2.0 lights on the hollow underside. As for specs, they are a 5.5-inch full HD 403ppi 1080p Gorilla Glass 3 display, 2.3GHz Qualcomm Snapdragon 801 MSM8974AA quad-core processor, 2GB RAM, 32GB storage with microSD up to 128GB and 3000mAh battery that can be charged up to 75% in just 30 minutes using VOOC mini. The US pricing is around USD649. Expect to find it in Malaysia by the end of the year.